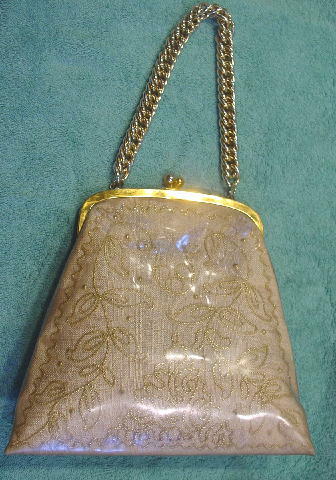 This vintage handbag has a clear vinyl shell over a woven fabric. 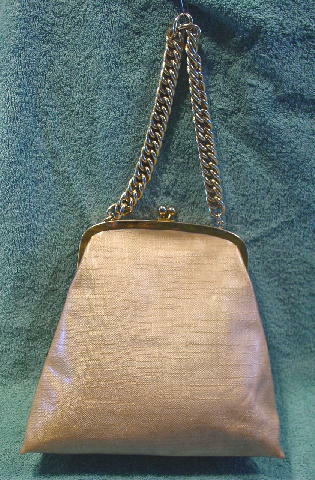 The front side has a gold-tone cord design pattern with gold-tone round beads. Some of the beads have dark tops. It has a bright gold-tone metal rim with some tarnishing and light surface scratches and it has a round ball bypass closure. It was missing a handle when Eden bought it. She added the gold-tone large link chain. 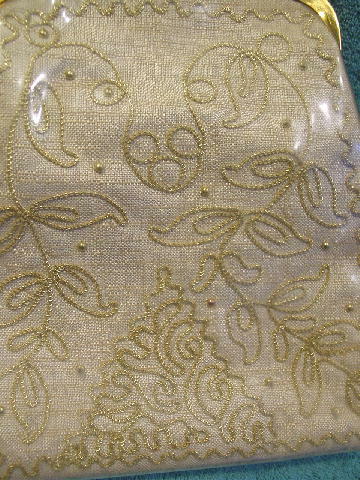 It has a fabric lining with a design pattern. 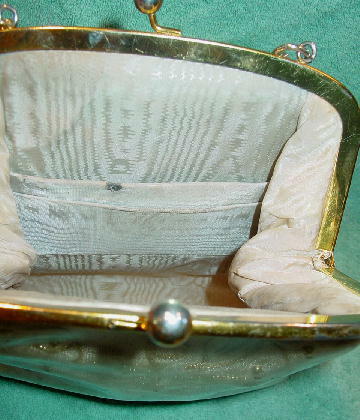 There are two small open interior pockets. The upper one has a tear on the top and a darker area around it.